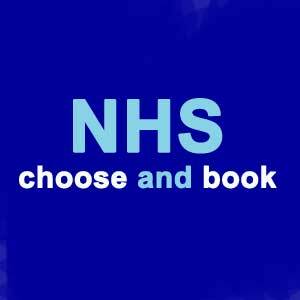 NHS Choose and Book on www.chooseandbook.nhs.uk, give you the control to arrange or change hospital, clinics appointments and rearrange cancellations. With NHS, you can book an appointment in one of following hospitals, and cancel your appointment online. You’ll be given a list of hospitals/clinics that can provide the specific treatment you need. There is then a list of options available. 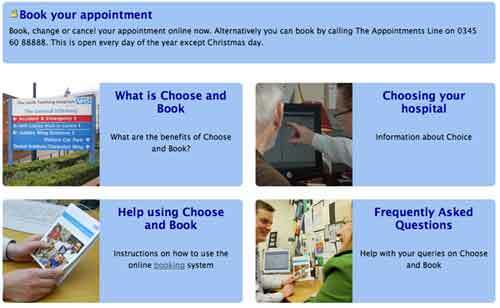 If you need any additional support in using the Choose and Book system there is a step-by-step guide available at www.chooseandbook.nhs.uk/patients, where you can also access the FAQ responses. Alternatively you can submit a request for help via the ‘Contact Us’ page.